CLEVELAND, OHIO (ANS – December 20, 2016) – After a nearly 50 year wait, the British supergroup, YES, will be inducted into the Rock and Roll Hall of Fame in Cleveland for the Class of 2017. The induction, which follows two previous nominations, will occur one year shy of the legendary progressive rock band’s 50th anniversary. The 2017 Rock & Roll Hall of Fame Performer Inductees were chosen by more than 900 voters, as well as the aggregate results of the Rock & Roll Hall of Fame’s online fan vote. 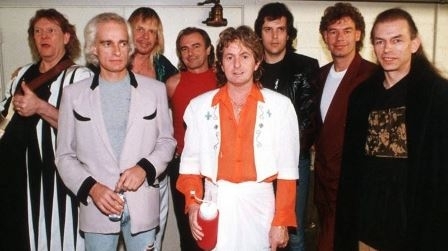 However, there has been a mixed reaction to the just-announced news by some of the present and past members of the group, founded in 1968 by the late Chris Squire and singer, Jon Anderson. Keyboard legend, Rick Wakeman, and my friend for some 50 years, apparently wasn’t so thrilled with the news. The 32nd Annual Rock & Roll Hall of Fame Induction Ceremony, presented by Klipsch Audio, will take place on Friday, April 7, 2017 at Barclays Center in Brooklyn, New York for the third time. Ticket on-sale dates will be announced in January. The Rock & Roll Hall of Fame 2017 Induction Ceremony will again have its television premiere on HBO, and a radio broadcast on SiriusXM. Broadcast details will be announced in early 2017. Note from Dan Wooding. 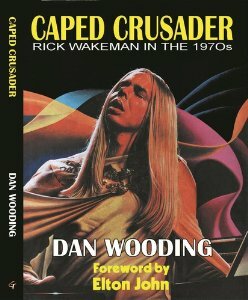 I have had the joy of knowing my Christian friend, Rick Wakeman for a half-a-century and wrote the very first story about him, and later went on to write his official biography, which has been re-released under the title, “Caped Crusader Rick Wakeman in the 1970s” (Gonzo Multimedia), with a foreword by Sir Elton John. I met up with him again in Los Angeles a few weeks ago, when he nearing the end of a tour of America with ARW (Jon Anderson, Trevor Rabin and Rick Wakeman), along with other musicians, who were playing many of the YES hits for sold-out shows. I also interviewed Rick for my “Front Page Radio” show, which you can hear by going to http://oldassistnews.net/frontpageradiofiles/RickWakemanFPR20161211Mono.mp3. Photo captions: 1) A composite picture of the classic YES. (http://yesworld.com). 2) Rick Wakeman with a group of friends in England. Included in the picture are a choir that recently performed with him, teenage singing sensation, Emmie Beckett, Rick’s granddaughter Skyla, and her dad, Adam Wakeman, himself a brilliant keyboardist. (http://rwcc.com/). 3) Dan and Norma Wooding with singer, Jon Anderson after the ARW show in Anaheim, California. 4) Book cover. 5) Rick joking around with Dan after the LA interview. 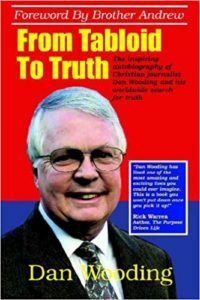 About the writer: Dan Wooding, 76, is an award-winning journalist who was born in Nigeria of British missionary parents, and is now living in Southern California with his wife Norma, to whom he has been married for more than 53 years. They have two sons, Andrew and Peter, and six grandchildren who all live in the UK. Dan is the founder of the ASSIST News Service (ANS) and he hosts a weekly radio show and two TV shows, all based in in Southern California. Dan also is the author of some 45 books, including Rick Wakeman’s official biography. ** You may republish this or any of our ANS stories with attribution to the ASSIST News Service (www.assistnews.net). Please also tell your friends that they can receive a free subscription to our news service by going to the above website and signing up there.